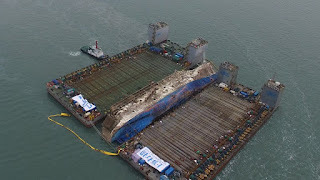 South Korea's sunken Sewol ferry has been successfully hauled onto a giant heavy lifting ship, officials said, a step towards returning the vessel to port. 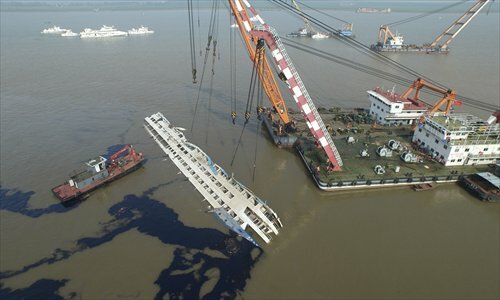 Among the most significant trade and marine centers since the ancient times near Methoni at the first leg of the Peloponnese peninsula in Greece, the island of Sapienza has been the witness of many shipwrecks as a navy passage connecting Italy to the Middle East. 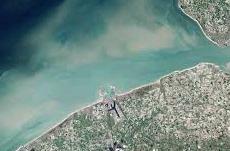 Using satellite data, researchers have found that shipwrecks near the coast can leave sediment plumes at the sea's surface that help reveal their location.